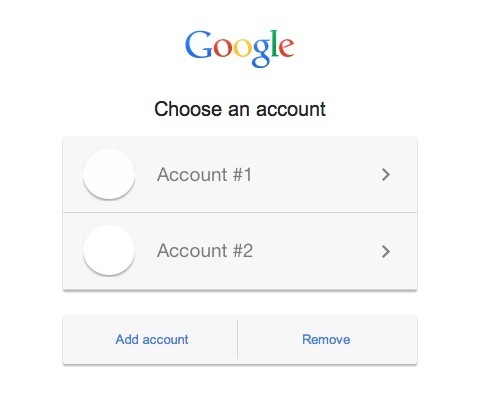 Using Google’s “multiple sign-in” feature is a great way to juggle between multiple Google accounts and Gmail addresses. But a common issue with using multiple Google accounts is being able to determine which is the default account, and it’s easy to get things mixed up with multiple logins. That’s what we’re looking to resolve here, by setting the proper account as the default Google account, regardless of how many other accounts are in use. This is a multiple step process that may seem a little confusing initially, though once it’s setup it works flawlessly across the web and maintains the default. Ideally, Google will offer a simple “set this as default” option in the near future for all web services they offer, since many people have multiple google accounts for personal, work, and accessory uses. Keep in mind this is focusing on web use, and that iOS users have the excellent Gmail app that can handle multiple accounts very well simply by swapping between which address you want to use. That’s basically how the web feature will work too once it’s set up, though we’re mostly focusing on which will appear as the default account when you visit any Google web service. Again, be sure to log in to what you want as the default / primary account first. Then, you can add new accounts that you want to be other options available in the accounts menu. While logging out and back in to all accounts is obviously not difficult, it can be a little confusing, and a ‘set default’ option would really be a good way to alleviate any frustration there. I use this feature all the time to switch between my personal Gmail account and two work related gmail accounts. Once you get this setup properly, it’s much easier and preferable to logging out and back into different gmail addresses constantly, just set it up once, then select the account you want to access from the avatar menu for any given Google service, and you’re good to go with multiple logins. For those who use the Chrome web browser, handling multiple accounts is managed a bit easier if you use the profile manager in Chrome, which is an experimental feature that must be enabled manually for the time being. On work computers: sign in only with your work Google account, do not use personal accounts at work computers or hardware. Have them on your personal iPhone or Android only. The reason I prefer that method is to keep work and personal separate, which as we all know is getting very difficult these days. For the longest time I had all of mine logged into my home computer, and you inevitably end up sending emails at odd hours when it’s not necessary, simply because you read it, see it, and the read receipt gets sent. Avoid that with a separate work account on your computer, stay sane. Great advice. I have been doing this for years, but you just helped me remember that I should just not open the work email at home at all. Thank you. omg thank you so much! I cannot describe how thankful I am, considering that this has been an issue in the back of my mind for a long time. Thank you! Thank you for info to re-establish my primary gmail account. Somehow a new gmail address had usurped and taken over as my primary. Very irritating. All is well now thank you! Wow you know what? It’d be great to see more Google tips posted here. I think their services are tremendous. Good to know! I try to mix some Google, Gmail, and Android tips in sporadically if they are relevant to our readers. And yes I agree completely, Google has many amazing services. Thank you! Been bugging me for many months! This may have worked last year but it doesn’t work for me! After logging out of everything connected with Google+ and I want to log in to gmail, I am PROMPTED by Google with the SAME default that I don’t want as a default! My situation: I have multiple accounts for the same g-mail! I’ve wiped out cache cookies etc. Same thing happened to me.. I had sign out -> Sign in to new default -> then click each of the other accounts and select “remove”, Then one by one add them all back to get my new default to stick. After trying at least 20 different inquiries on gmail’s “help” .. with absolutely NO help at all… I searched and your answer came up. Hey @gmail … was that so phuching hard? THANK YOU! As another person said, I have been attempting to find information about how to change from having my work account be my default. I appreciate the other suggestions above, too. I was going crazy trying to connect to my G Drive and getting my daughter’s instead. I come back to this article once every few months…thanks again! These instructions are not at all what I found when I followed the instructions. Never have I seen an option where I can choose Acct ! or 2. I have 2 accts and rather than my primary acct being the default, my secondary acct is always the one that is autofilled in the sign in box and it is ticking me off because I have to type over it w my primary email address every time! Isn’t there some dang place via Settings where I can VIEW both of my accts and actually CLICK on the one I want to set as default? Why does Google have to complicate everything? I can’t tell you how many times my secondary acct has disappeared altogether. Bump, how do I change the default if I signed in the first time with another account and want to change it now. Log out of all the accounts and back in as advised, it should be easier but that’s the way it works for now. Can i set defaults for certain accounts ? PLEASE…HELP! My spouse and I have several Google accounts. I know which is my default. They have a different account as their default. We set that up right…after going nuts trying to figure out the default was just the first added. However…now we want to set up a Google+ account from one of the names that’s not my default…or theirs…but rather one we use together…as a couple. How do we do that? Thanks. Can You please Guide me how I can ? I don’t want to delete any cookies. Thanks so so so so much!!! 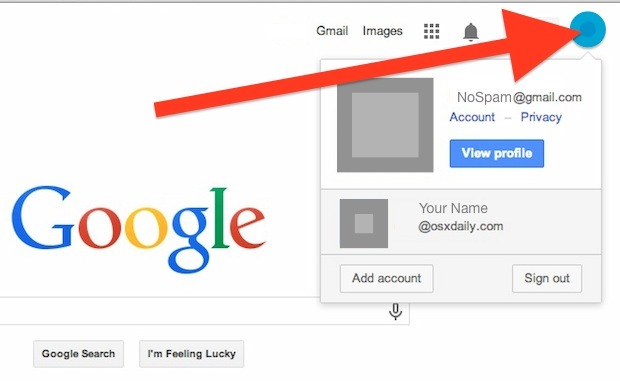 This worked exactly as described for me to change the default Gmail account, I use a few, and this was very helpful. Thanks from Rob!!! Hi I have a YouTube account and I decided to make another 1 under the same email because it is a hotmail/Google account. .. however my new YouTube is always the default user on Google. .
It’s defaulted on YouTube to the 1 I want but I can’t do it on Google. ..
thank you this was helpful and worked! Excellent discussion – I Appreciate the information ! Does someone know if my business could grab a sample IRS 5500-EZ example to fill out ? I don’t know if you’ll be able to do that with the specific form you’re talking about…..but with some IRS forms, you can type the desired info on the online form and then print it out. 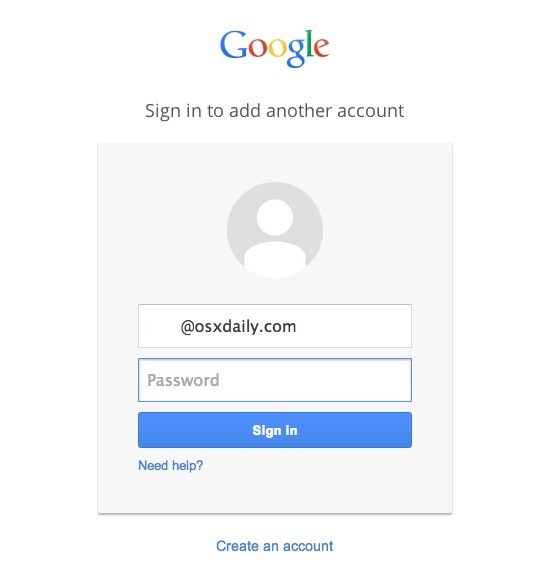 This is an article about using multiple Gmail and Google accounts and setting the default Google account to use for multiple account users, it has NOTHING to do with the IRS or any IRS forms or paperwork. Please stay on topic, I am not on here discussing my lunch for a reason. This is about using multiple Google accounts. YOU ARE THE ABSOLUTE BEST. I LOVE YOU! THANK YOU SO MUCH. Thank you – like you say logical but no way to understand it otherwise!. great to have this solved. I believe my default account on Google Chrome has been compromised. I would like to create a new one as my default one and delete the current. Any Simple Suggestions? I have followed the instructions as above but no matter what every time I return to mail.google.com it will ALWAYS send me to the account I want as my secondary. ??? How does one do the opposite of adding an account? I added an account but now I want to remove it. How can this be done? This would be great if my e-mail address wasn’t deleted. My work e-mail became my default account and then I changed jobs. I will never be capable of “signing-out” of my work e-mail account so that I can make my personal account my default. This is the beset explanation ever! Literally solved my issue immediately, this is the best. I am so happy to find this answer. You know what would be even better. IF you just add a setting to change your default instead of signing out of every gmail account you have.Some people do have more then 3. I have three accounts, and Chrome had been loading the correct one for months. However, after using a program to remove junk files, fix shortcuts and what not, Chrome reverted to another email that used to be the default. Nobody care fo that “default” crap – what a nuisance! – the question is how to get the standard function of choosing the account one wants for a given site activated! Google is completely annoying in the way it presumes to know better what one wants to do and so simply doesn’t offer one the option once one has already chosen and at a certain point – even if one explicitly logged out and clicks to log-in again, which would seem to imply some “free choice”-scenario. Always hated Google-designs for these kinds of reasons. So, I’m having the same issue as several others here. I have multiple accounts, and the secondary seems to be the default. Now, I did sign out of everything, sign back in on my primary account, then add the secondary, and the secondary still becomes default. Seems like after several years of the same issue, they would have fixed it by now, like putting a button in settings when two accounts are active so that you can choose which one is default. My situation is a glitch. The primary account is the LAST account I signed in with, not the first. “We are sorry, but you do not have access to Email. Please contact your domain administrator for access. However, obviously this is not an option if I’m trying to make the account in question the default account. Thanks! It worked for me. Oh for a simple option that just let’s you choose the default email address. This is as bad as trying to find your Contacts in the new version of Gmail was. I note Google have since introduced a popup to direct users to the Contacts link. Google needs to get back in touch with its users. So I’m still having trouble. When I used my stepdads computer a while back it some how made my school account the main account. And by main account I mean it automatically signs into my school account on his computer. I stopped using his computer and it is still happening. And when he tries to switch the accounts it won’t let any other account sign in but my school account. I tried to fix it so my account would be deleted from the computer but it didn’t work. I have a problem: I have two accounts: personal and work. I want my personal account to always be FIRST (default), so I logout and login with my personal account first – and then add others. For some time it works, but for some reason all of a sudden my WORK account becomes the default one, even though I haven’t logged out or changed anything. Does anyone know why this started happening lately, or what could be causing the switch?